Blackjack is an exciting card game that gives players the opportunity to put their skills to the test and improve their chances of winning. Since it is a skilled-based game, it is no surprise that throughout the years many gaming experts have created a number of interesting strategies in an attempt to overcome the house edge. Some strategies aim at providing players with an efficient plan about the best move that they can make in a certain situation, whereas others concentrate on helping them accumulate more winnings. One of the most famous strategies that blackjack enthusiasts can use to make a bigger profit is the Paroli Betting System. The Paroli Betting System dates back to the 16th century when it was used in an Italian game called basset. It highly resembles another betting system which was created during the same period – the popular Parlay Betting System. Both have a very similar nature as they operate on the same principle. In Latin ‘par’ means ‘one that is equal’ and it is believed that this betting system gets its name partly from this word. The Paroli Betting System is a positive progression system which can be used in many casino games. Its main objective is to help you accumulate small but consistent winnings over the course of the game. In brief, you are required to increase your wager every time you win and continue to do so until you win three consecutive hands. Just like the rest of the betting systems, this one doesn’t guarantee that you will inevitably make a profit by using it, however it gives you very a realistic chance of doing so. The whole decision-making process that you go through every time might be sometimes very tough and it can prevent you from enjoying the game. By using this betting system, you can easily figure out the size of your next bet by simply following the plan it offers you. Thanks to it, you have the opportunity to concentrate more on the decision regarding your move, instead of your bet. The Paroli Betting Systems is very straightforward and its rules are easy to remember which makes it perfect for all types of players, including novice gamblers. 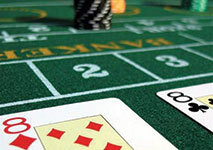 In general, this betting system is more commonly used in games such as baccarat and roulette, due to the fact that they feature even odds wagers. However, it is also possible to apply it in blackjack efficiently and accumulate more winnings but before doing so you should take into account a few important factors. First of all, you should bear in mind that in most cases blackjack pays 3/2 and if you and the dealer have the same total at the end of the game, the result is a tie and there is no winner. In such cases, it is up to you to decide whether you will consider this as a win and continue increasing your wager or you will referred to such cases as losses and place your initial betting unit for your next wager. Risk-takers who like to apply a bit more extreme approach when they are on a winning streak often decide to double down in an attempt to increase their winnings even more. Another situation which is worth discussing is whenever you get a pair of two identical cards. Usually, you are allowed to split it and form two new hands. Since the new two hands are separate ones, their outcome can be also different. In case that both hands turn out to be winning ones, you can consider this as a double win and vice versa, if they are both losing hands, then unfortunately it is a double loss. In case that you happen to end up with one winning and one losing hand, then you can consider this situation as a tie. You should bear in mind that whenever you lose, you are required to start from the beginning of the system and bet the amount of your initial betting unit. Speaking of which, you should take your time to decide how much your initial betting unit should be. Let’s assume that you start the game by placing a bet that amounts to $5. If you win, you are required to increase your next wager to $10. If the outcome of your next hand is the same, you need to continue following this pattern and place a third bet of $20. If your winning streak continues, then you have already won three hands in a row in which case your next bet should be your initial betting unit of $5 or in other words, your are required to start from the beginning. This is how you should use this betting system throughout the game in order to manage to make a profit. If you lose a hand before you have reached three consecutive wins, then your next wager is required to be the same amount as your initial betting unit – $5. Some blackjack experts advise that whenever you get natural blackjack, it is best to start once again from the beginning by placing a $5 bet. One of the major advantages the Paroli Betting System has is that it is extremely simple and easy to learn. Its rules are very straightforward which make it perfect for beginners. Another great benefit is that you don’t have to necessarily possess a solid bankroll in order to apply it. Also, by using this betting system you will be able to stay in the game for much longer as you most likely won’t suffer any substantial money losses. The maximum amount you can lose on every hand, can be easily determined in advance as you are the person who sets the size of one betting unit. Furthermore, if you use this betting system and follow its plan throughout the game, you can avoid any potential money losses by placing a bet whose amount is influenced by your current emotions. Also, your chances of getting stuck in a losing streak for too long are significantly low. However, whenever you are on a winning streak, you can increase your profit by applying this system correctly. Just like all of the betting systems of this type, this one also has its drawbacks. Perhaps, one of the biggest disadvantages it has is the fact that it has no impact on the house edge. Your odds of winning remain the same and thus, using only this betting system in blackjack is not enough to win. What is more, even if you apply the basic strategy correctly and stick to this betting system throughout the game, there is never a guarantee that your hand will be a winning one. Also, in order to make up for all of your previous losses, you have to win quite a few hands. If you are a card counter, this simple betting system might not be your best option. The reason why is that you are supposed to repeat its suggested betting pattern automatically, without taking into account any other factors such as the ratio of high value to low value cards in the deck. However, if you are using a card counting system, you have the chance to derive this valuable information and determine the upcoming cards. In this sense, if you know that your chances of winning the next hand are higher, the wiser decision will be to take full advantage of this situation. For instance, let’s assume that you have already won three hands in a row and the betting system calls for you to place the initial betting unit. However, you are a card counter who has estimated that the true count is 8+ and the chance that the upcoming cards will be beneficial is high. Therefore, it won’t be simply rational to place a $5 bet if you know that you can get blackjack. The Paroli Betting System is considered to be one of the most stable and reliable betting systems as it doesn’t urge you to place any large wagers. To sum up, the Paroli Betting System doesn’t guarantee that you will inevitably make a profit, however it gives you a very good chances of doing so. Thanks to it, you can manage your funds better and become more conscious about your betting habits and wagers. It is considered to be a moderate betting system which doesn’t require a substantial amount of money in order to be implemented. It has proven to be fairly effective in blackjack and if you apply it throughout the game, you have the chance to play for much longer and make a profit.